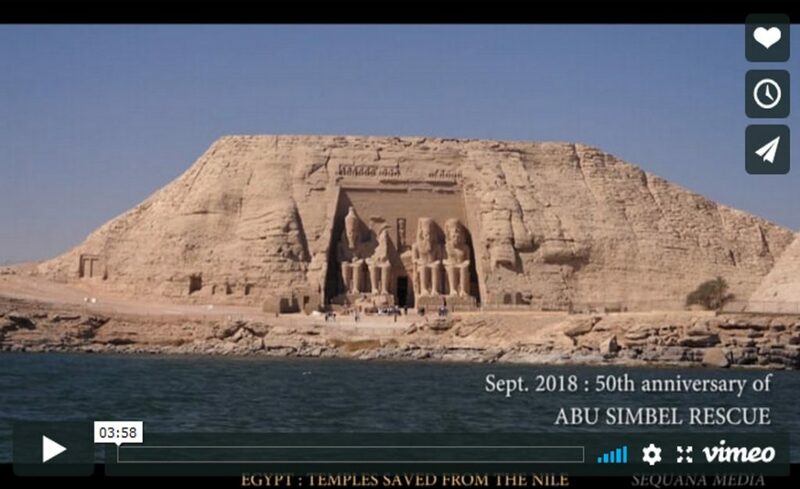 From 2017 to 2018, I have been working on the documentary ‘Egypte : les temples sauvés du Nil (‘Egypt: the temples saved from the Nile‘). This movie has been realized by by Olivier Lemaître (Sequana Media agency), in collaboration with the UNESCO. I have assisted the movie-maker in the Pre and Post production : document research, script and film review, promotion of the project and of the film. The movie has been broadcasted, the 26th of September 2018 on Histoire, a French TV channel, dedicated to historical documentaries and cultural debates.